So Neymar is our Savior! It's been some time since I have written something. I have been really busy relocating from one city to other for Work. I am still not yet settled here but that shouldn't stop me from writing something about an even of this magnitude. All through the seasons we had strong rumors going on of his signing. It made sense also - Rosell needs a big signing as it is an election year and the thrashing we received at the hand of Bayern Munich made it quite unavoidable. Even though there was news about Rosell having an agreement with him last summer, his signing(officially that's going to happen once the transfer window opens) was not without drama. As we went close to signing him we found that many unknown elements have a say in the transfer. Then came Real Madrid trying to torpedo the move. But finally yesterday the club announced that he will be signing a five year deal with him. Everyone is excited, am I? 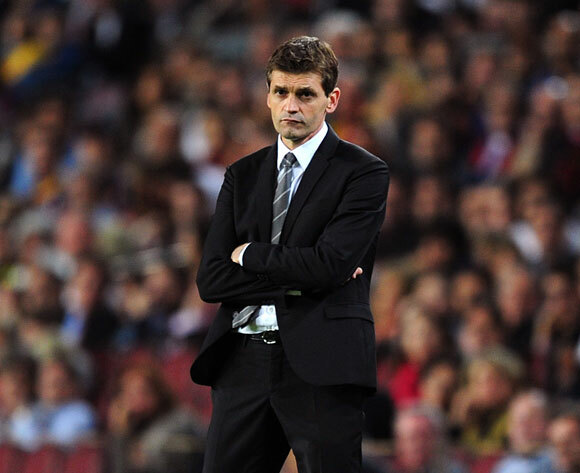 Should We Look beyond Tito Vilanova? Where do we go from here? Some may find that to be a strange question! After all despite the recent troubles we are still having a very successful season, especially with respect to many big teams. We most probably will wrap up the La Liga title in a couple of weeks and reaching the semi-final of other two competition is a very successful season for any other team. And may be for us also. But that does not kind of explain the feeling we all have right now. We have been dethroned from "Best Team in Europe" crown , but it's the matter in which it happened what worries everyone. This was not a minor blip, it was a huge embarrassment. No leading side let alone a side which will be crowned as the League leaders could digest a 7-0 scoreline against it. Such big scoreline sometimes does not say the real picture of what happened. Not in this case, some may argue the scoreline was an understatement. And it was. At no time in the two matches we looked like scoring and every time Bayern rushed forward we looked exposed. Some seriously lucky and good last minute defending kept the scoreline to as respectable as it is now. Yes, we had some serious shortcoming coming into this tie. Many of our players were injured or were carrying injury, our coach was missing in action for a majority of season due to his illness. But hiding behind these excuses does not help us getting anywhere. Regardless of our issues with injuries and fitness, we had serious issue this season, and they all came to haunt us in the end. Bayern Munich sealed their place in the final of UEFA Champions League by beating FC Barcelona 3-0 at the Camp Nou. To be honest they had almost sealed their passage in the first half, only the confirmation was left. That was done tonight. The two legged tie ended with an aggregate score of 7-0 to Bayern Munich and that was a total humiliation. Barca fans who were dreaming of a historical come back was dealt a huge blow with the news that Messi will not start due to fitness issues. For many that virtually ended Barca's chances. We needed to score at least four goals tonight and without Messi it was never going to happen. At the end of the match the "End of an era" questions were clearly ringing in everyone's mind. Barca started with Valdes, Alves, Bartra, Pique, Adriano, Xavi, Song, Iniesta, Pedro, Cesc and Villa. One the bench we had Messi, Sanchez, Pinto, Montoya, Dos Santos, Thiago and Tello. Meanwhile Bayern started with their best available line-up, discarding the risk of some of them getting suspended. Bayern Munich started with Lahm, Boateng, Van Buyten, Alaba, Robben, Javi Martinez, Schweinsteiger, Ribery and Manduzic.